I have been wanting to grow our own vegetables for years and finally decided that today was the day! The kids and I ventired off to the store, got all the supplies we needed, and had our back yard veggie garden set up in no time. This is super easy to do and much less expensie than I had anticipated. The reason why I chose to do a back porch veggie garden as opposed to just one in the grass is because we are currently renting the house we are in. When we purchase or own home, I want to make sure all of our hard work can come with us to the new home. 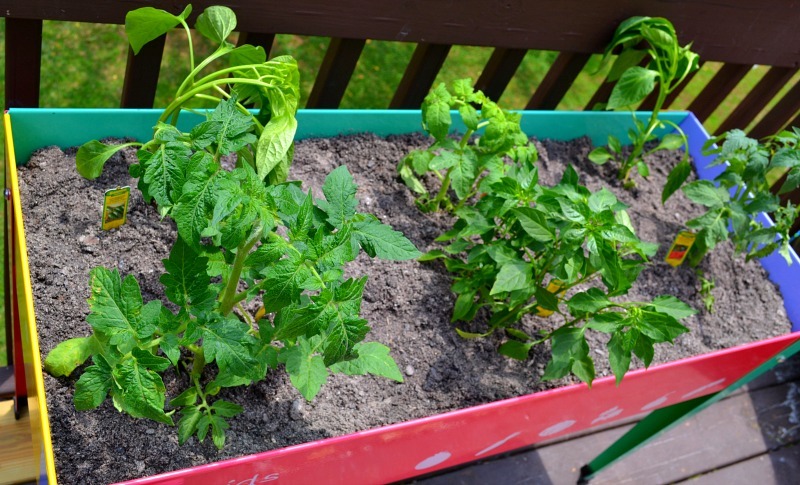 The first step we made in our back porch gardening adventure was find a kid friendly planter because I have three enthusiast children that will be helping me care for the veggies. 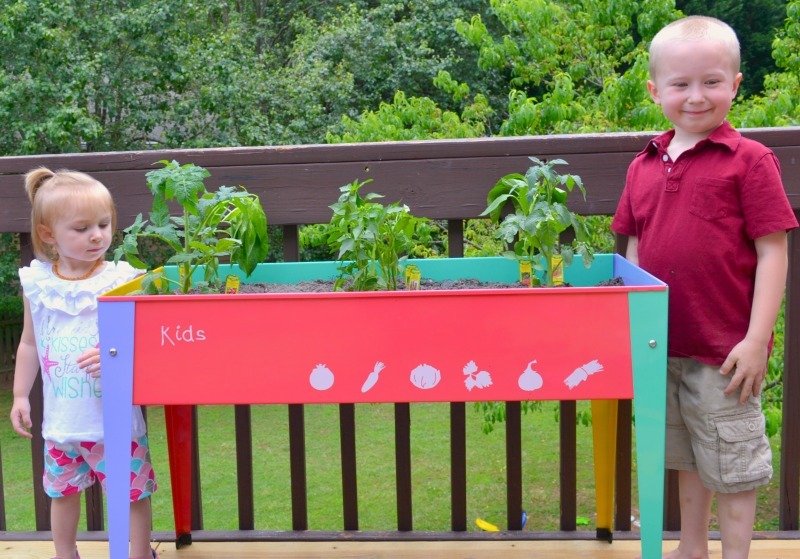 I found this amazing kids planter called the Herstera Urban Garden Kids, which was designed especially with children in mind. 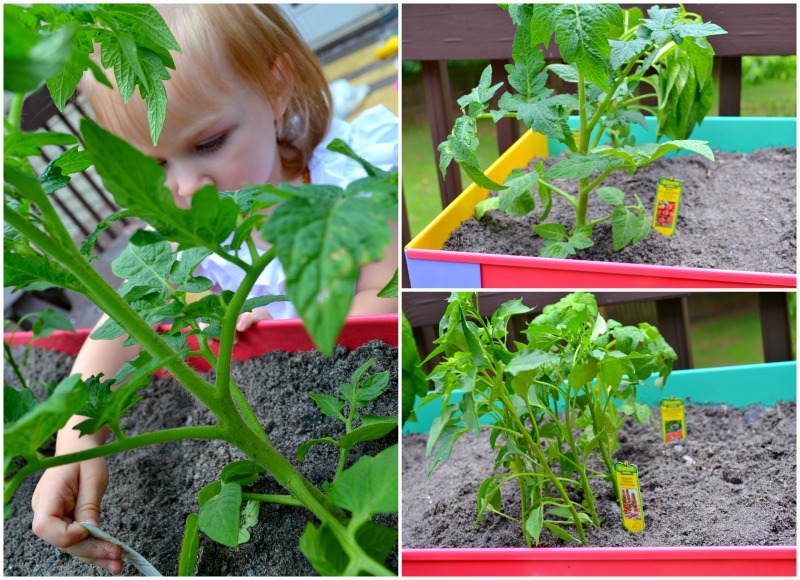 It has a multi-colored design as well as a lower planter height to make gardening fun! This planter is also lightweight, easy to assemble and move, while possessing the benefits of a rugged steel construction that easily supports the weight of your garden. 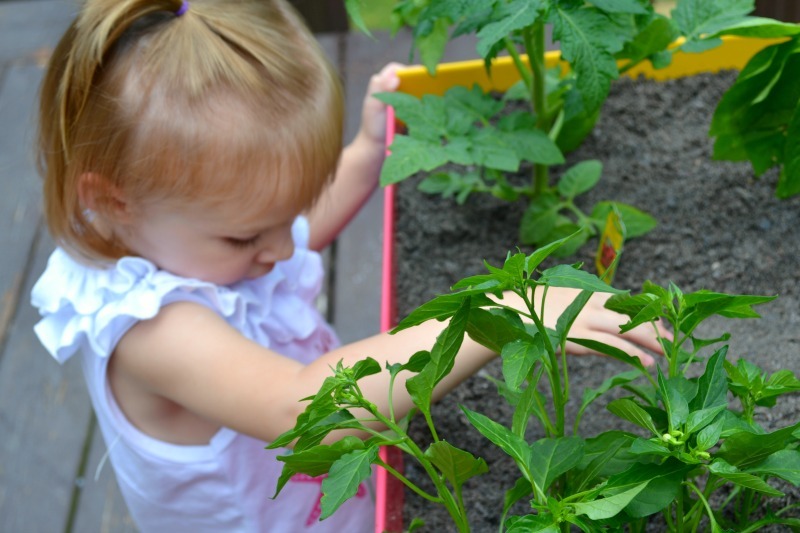 The soil depth is adequate for growing many vegetables, herbs and flowers. 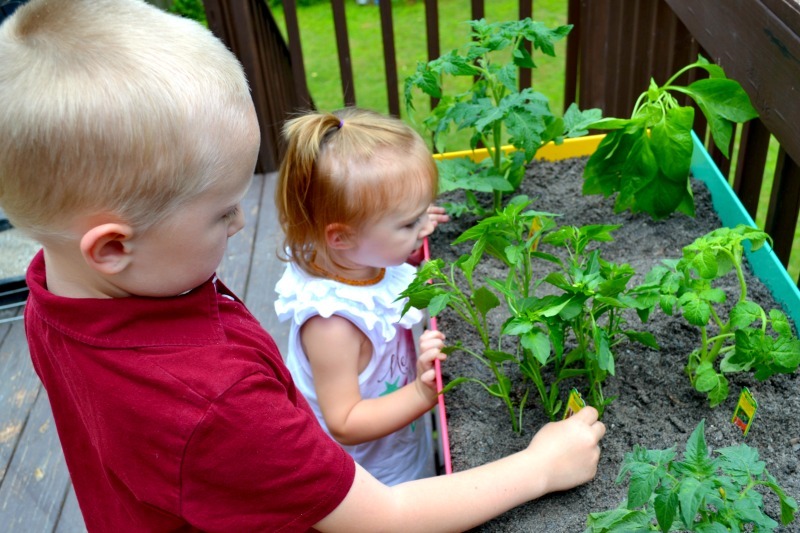 It is the perfect addition to any home that believes in teaching kids about gardening and where their food comes from. The next step is to purchase your soil and plants! We went with an organic potting soil because of its many benefits; It contains compost, worm castings and live micro-organisms, It doesn’t use peat and It doesn’t decompose after one season and can be reused. Your next step is to choose your veggies! We went ahead and just purchased plants instead of the seeds because we were very anxious to start eating from the garden. One suggestion I would make is to place the little markers next to the plants so you can remember which veggies each plant will yield. You can take your craftiness one step further and create your own little markers! I think I will have the kids do this later in the week!